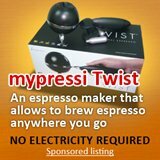 Commercial coffee roaster that is fast? People getting commercial coffee roaster are folks that is in the cafe business. They want their customers to have the freshest taste of coffee, which means roasting, grinding then brewing them all done on site. 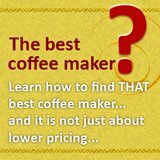 Other than the visual treat it would provide for a cafe customers (how often do you see coffee beans being roaster in front of you), using a commercial coffee roaster would also greatly reduces the cost that you need to spend on coffee beans. The savings is as much as 50%. Think about it, you get one more thing to attract the customers and you are paying lesser for that, isn't that a double win situation. The question is the complexity that comes with roasting your own coffee beans right? 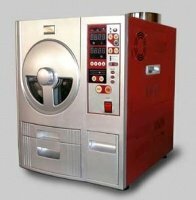 What if there is a commercial coffee roaster that allows you to roast high quality blend with just a touch of a button? Everything can be programmed, and all you need to do is to press a button. And of course, it is small enough to fit into any coffee shop area, weighting just little over 70 lbs? This is almost comparable to a home coffee roaster and here we are talking about the supramatic pro 1500. It uses what is known as the halogen light heater which other than energy efficient is able to roast coffee beans to pin point accuracy. Of course, the computer that controls the temperature helps a lot too. It is said to be able to control the temperature with a variance of only 1 C.
The coffee roaster pro 1500 another unique point would be the two temperature sensor that it is having. The text sensor regulates the temperature for roasting while the sensor 2 prevents the coffee beans from over heating. Oh, I guess the most important thing getting a coffee roaster for commercial use is the turn around. 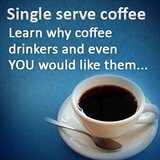 While it is good to show your customers that you are serving the freshest coffee to them, it is quite another thing to wait 30 minutes for it right? With this coffee roaster pro 1500 from supramatic, you can roast your beans in less than 10 minutes, so with grinding, tamping, dosing and extraction, espresso for your customer would not take more than 15 minutes! 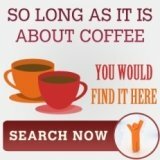 I have yet to see many places serving coffee that is being roast on the spot, and personally if I would want to pay more for my coffee, I would want to have it roasted on the spot to enjoy the freshness that I was always told about freshly roasted coffee.